"Read on to find out how an “Ordinary Online Joe” snatches up thousands of legitimate, red-hot, targeted leads – leaving his competitors crying for their mamas!" It’s the “Holy Grail” of every Internet Marketer: Unlimited, auto-pilot web traffic. And until now, unlimited, auto-pilot traffic was a dream that only very few, very privileged – and already very wealthy – marketers enjoyed. But before I get to that, let me tell you a little about who I am, and why I’m about to give you what may be the most important, profit-revealing, cash-generating information you’re going to get all year! Sound familiar? Like you, I had tried it all… articles, giveaways, AdWords, pretty much anything and everything the “Gurus” tell you to do. And one of the things I kept hearing over and over again was “Use video to drive traffic”. That sounded great to me (I love video! ), so I jumped right on it. But I quickly discovered it wasn’t as easy as it sounded. I did what I was told: I put my videos up on YouTube and other video sharing sites. And then I waited for the traffic of hungry prospects to come thundering to my web sites. Man, the silence was deafening. Not to mention painful to my ego, and my wallet. There was a lot more to this “get-traffic-with-video-thing” than the Gurus were letting on. I couldn’t just slap up a video on YouTube or on a blog or wherever (like they said!) and watch the traffic and profits roll in. And the Gurus Are Keeping It to Themselves! Now, I don’t know about you, but this revelation really pissed me off. Honest, hard-working people like you and me were flushing our cash down the drain while these guys kept selling us on the dream, cashing our checks – and not delivering the goods! The more I thought about it, the more pissed off I became. And being the ornery kinda guy that my wife tells me I am, I decided to do something about it. I decided to crack the Gurus “secret code” for creating explosive video traffic. I’m the first to admit it wasn’t easy. After all, these guys want to keep these secrets to themselves. How else are they going to stay ahead of the rest of us poor schmucks, right? I knew I had my work cut out for me. I buckled down and started digging. I spent hours and hours reviewing, comparing, optimizing, and split-testing. After months of grueling toil, I found what I was looking for. After months of hard work, I started seeing increased views, increased clickthrus, and a steadily growing stream of new traffic from Google. In short, I was getting all rewards of increased traffic I’d been promised in the past – but never received. Even better – I kept ALL my money in my pocket. You’re probably already aware that Google is still the most powerful search engine on the Web. And that you can use a YouTube video to drive traffic to your web sites. And you’ve probably heard that web sites that get lots of traffic tend to rise effortlessly to the first pages of Google’s search results. And if you know anything at all about viral video marketing, you know that Google just loves YouTube content! 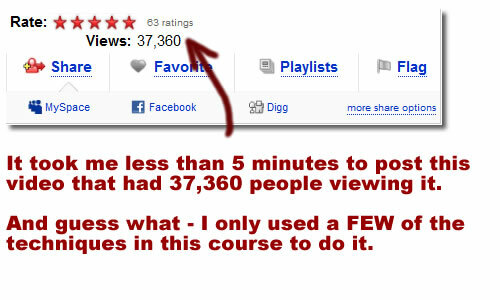 It does make perfect sense to use YouTube traffic to drive new visitors to your site. However, what you may not know is that Google doesn’t just love YouTube – Google owns YouTube. So if you can figure out how to use YouTube to your advantage, you can have an insider track to dominating the Google search results! The key here is to do it right. Because the days when you could slap up any old video on YouTube and have it spread across the Web like wildfire – those days are gone. Plus, YouTube visitors are gorged on so much video content that you have to deliver a slam-dunk to even get noticed. And that’s where Video Marketer Pro is your secret weapon. If you want to profit from viral video today, you have to do it with a little more skill and finesse. You have to aim at the right target, and use the right ammunition. And in the battle for video traffic, my friend, ordinary video is no longer enough. In today’s ultra-competitive viral marketing environment you must take proper aim. In other words, you must have optimized video. It doesn’t matter whether you are an affiliate marketer or promoting your own product. It doesn’t matter if you have an e-commerce store or a brick-and-mortar business. Optimized video is the only way to successfully drive traffic and market using video. First and foremost, Video Marketer Pro turns your ordinary videos into attention-sucking traffic portals. But this course does so much more. You’ll learn exactly how to use video-sharing sites like YouTube and others to your benefit. You’ll learn how to piggy-back on their bandwidth (for FREE) while you scoop up boatloads of new clicks and visitors. And that’s not all. Begin creating your viral video empire without spending a dime! It’s not difficult to do any of this because I take you by the hand and walk you through each step. So you get the chance to master the step at your own pace. You can start profiting right away. 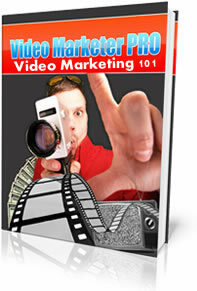 You don’t even have to wait until you finish the course to begin profiting from Video Marketer Pro. You can begin using all the tips, tricks, and techniques you’re going to get from Video Marketer Pro-in just minutes! With Video Marketer Pro, you just set it and forget it. Your traffic-generating army is at work for you 24/7, 365-days a year. Yes, even while you sleep. All you need to do is figure out how much money you want to make from your new, unlimited auto-pilot traffic! Anyone Can Do This. Absolutely Anyone. Don’t let the name fool you. Video Marketer Pro is so easy to understand, so easy to implement, that simply anyone can enjoy increased traffic and better site ranking. Whether you’ve been marketing on the Internet for years or you’ve just mastered the basics. If you want to put today’s most powerful traffic generation system to work for you, Video Marketer Pro is the ONLY information resource you’ll need. Video Marketing 101: A detailed explanation and review of YouTube traffic and video sharing sites and an introduction to using them to send traffic to you. Niche Research: Find profitable hungry niches just begging to be raided. Learn how to legally “steal” away traffic to your landing pages using YouTube traffic, Google and video sharing sites! Video Creation: No video equipment or software? No problem! I give you 5 of the easiest, quickest ways to find existing video content you can use. Then I show you how to easily optimize them to grab the traffic you want. Advanced Techniques: Learn to optimize your videos for maximum exposure. Implement just a few of these insider tricks and watch your click rate soar! YouTube 101: Basic guide to little-known features and tools you can use to make your YouTube videos generate more views and more traffic. Advanced YouTube Techniques: YouTube’s “secret” tools revealed. Put these babies to work for you and unleash your profit potential! 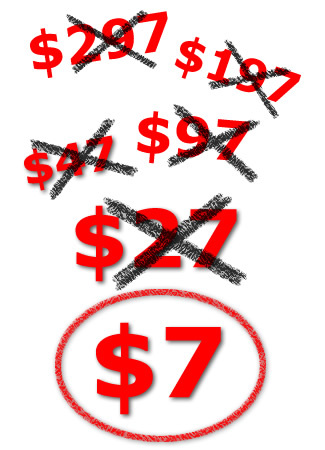 Act now and receive one of these special bonus packages. 19 explosive videos uncover new and undiscovered tools, tricks and tips you can use to squeeze more traffic and sales from every video you post. But hurry! Only 25 of these are available. Make sure you don’t lose out! For Much Less Than You’d Expect! The information contained within Video Marketer Pro can help you create new, targeted streams of traffic within hours. It’s the kind of targeted traffic that would cost you thousands through PPC. The kind of traffic that would take you months to generate from even the most high-quality articles and blogs. The kind of traffic only the Gurus afford until now. I created this course to give people like me, the “Ordinary Online Joe”, a chance to level the playing field of Internet marketing. I’m tired of seeing the same names and the same Mega-launches. I’m tired of seeing hard-working folks watch their bank accounts get thinner while the Gurus get fatter. So I’m not going to ask you to pay $400… or even $300. Try Everything Out For 30 Days – On Me! 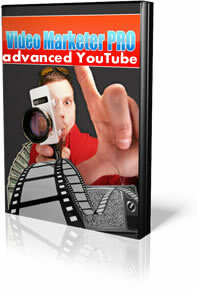 Other buyers of Video Marketer Pro are already seeing more views, increased traffic and better rankings. If you apply the simple steps in this course, I’m sure Video Marketer Pro can do the same for you. In fact, I’m so confident that Video Marketer Pro can show you new ways to dominate video marketing and explode your viral traffic that I want you to examine the whole course – on me – for the next 30 days. Watch the videos. Use the techniques. Try the tips. If you don’t agree that Video Marketer Pro has the potential to help you explode your viral video marketing program. I don’t want your money. Just let me know, and I’ll promptly and courteously refund every cent of your payment. Every day, more and more people go online to find information and products they want and need. Smart Internet marketers aren’t just sitting around watching that traffic go to someone else. How much longer are YOU willing to wait to take the traffic that should be yours? Sure, you can sit on the sidelines and watch the Gurus get richer and richer. Or you can use the same insider tricks they’re using right now to beat them at their own game. You can let your competition use the techniques in this Video Marketer Pro to dominate the video sharing sites and eliminate your business. Or you can this information to annihilate them first. You can keep waiting for a traffic “miracle” that will never happen. Or you can take your fortune into your own hands right now - and create the Internet business you’ve dreamed of. P.S. – Purchase before , and get access to the best free photo resources on the internet today. Easy to use, too. Just insert them in your video and go! Watch floods of YouTube traffic roll in almost immediately!